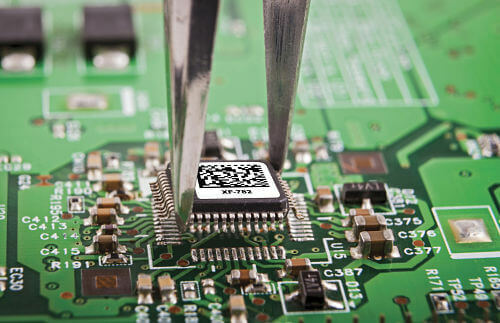 5 Benefits of Antistatic Barcode Labels in Electronic Device Manufacturing | ID Label Inc.
Electronic components are the lifeblood of thousands of consumer and business products we use each day. Yet many of these components, such as microchips on printed circuit boards (PCB), can be significantly damaged by electrostatic discharges that can occur during the manufacturing process and throughout a device’s useful life. To understand the role barcode labels can play in the prevention of electrostatic discharge, we recently spoke with Jason Golding, manager of quality assurance at ID Label. Antistatic barcode labels are essential for electronic device manufacturers, helping to maximize product yields, reliability and useful life. – Jason Golding, ID Label Inc.
An electrostatic discharge (ESD) is a sudden transfer of electricity that can occur when, for example, a static charge is released into a sensitive electronic component. Estimates of product losses due to electrostatic discharge can be up to seven percent of the manufacturing cost. Understandably, the prevention of electrostatic discharge in manufacturing is critical. There are numerous steps device manufacturers employ. These include ESD-protected work areas that feature proper humidity control, grounding of materials and gear, antistatic mats, and specialized conducting wrist and foot straps for workers’ garments. 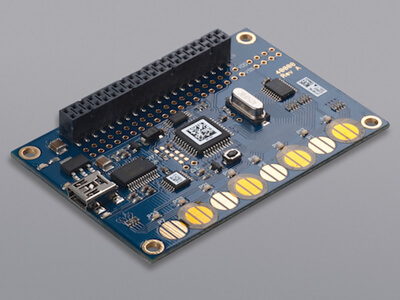 “The challenge for our manufacturer clients is to design a printed circuit board that will meet its intended use, but with a design that will operate flawlessly under adverse conditions, including being tolerant to ESD, for the life of the device,” Golding said. ID Label uses specialized materials that actually help to reduce the occurrence of electrostatic discharge in ESD-sensitive devices. 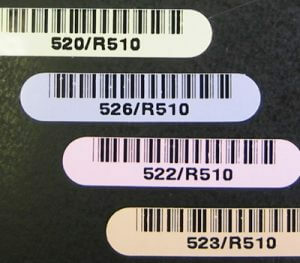 Most electronic components use barcode labels that provide a wealth of product and tracking information essential over the lifecycle of a product. These ESD-safe labels comply with the latest federal and international requirements and are quality-manufactured specifically with the needs of the electronics/PCB industry in mind. “Ultimately, they help manufacturers maximize costs, product yields, product reliability, and product life,” Golding said. According to ID Label’s Jason Golding, the following are some of the primary ways that manufacturers benefit from using ESD-safe barcode labels. Reduces Occurrence of Electrostatic Discharge During Application – Properly manufactured barcode labels reduce the charge generated when the label is removed from its liner, which could otherwise discharge and destroy sensitive components during application. Minimizes Charge Build-Up on Label Surface – After the label has been applied and during its life, these materials are designed to prevent significant charge build-up on the label surface that can result in a static discharge. 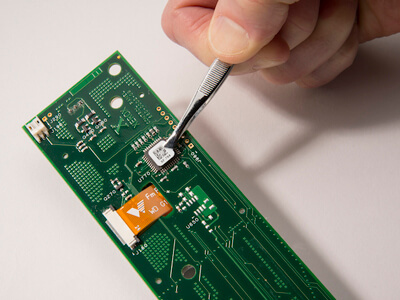 Withstands Harsh Manufacturing Conditions – ESD-safe labels are made to withstand harsh solders, fluxes, and extremely high temperatures common during the manufacture of electronic devices. Compliant with Stringent Industry Standards – Be sure to use labels that comply with the S20.20, 61340 and JESD625B federal and international standards for charged insulators used in the proximity of ESD-safe devices. Use of Low-Charging Materials – Your label manufacturer should use low-charging adhesive systems, static dissipative label faces, and low-charging release liners (surface resistances greater than 104 and less than 1011 Ohms). ESD-safe labels are made to withstand harsh solders, fluxes, and extremely high temperatures common during the manufacture of electronic devices. ID Label manufactures extremely durable labels for electronics and other specialized manufacturing conditions. Contact us to learn more and request samples.